I love posting memories here because it's kind of a record of my life. I like to imagine when I die, my loved ones reading this to remember me and my descendants reading this to get to know me. There are even companies that turn blogs into books so someday I may do that. One time I was taking the T (that's the subway for those of you outside Massachusetts). I was at North Station and I bought a Big Mac at McDonalds because I was hungry and when I walked outside there was a bum sitting there with a cup for donations, which is very common, so it wasn't like the scene invoked some sort of horrified compassion. But at that moment I just thought that he was probably more hungry than me so I offered him the sandwich- it was in the bag still and still warm and melty. He accepted the offer and I went on my merry way. I tell this tale without an ounce of pride that I was some sort of kind, generous person- because first of all- I'm aware that- as Maslaw shows us in his pyramid- I was merely fulfilling my own need for self actualization- and as a Christian- ney a human being- I was only doing living out the kind of compassion we all should feel for one another. But I tell that tale because it's a heart warming memory. The second memory I'd like to share- I can't remember if I've told this tale before, but even if I did, it bares repeating. It was during the winter Olympics, I think. Maybe 2006 in Italy. But no, I thought it was much earlier than that. But anyway, my mom and I were laying on her bed watching it and I was flipping through a magazine and there was this strange ad in the magazine with just a picture of a faucet and I asked her "What is this? A faucet?" Ok, cue the Twilight Zone music. 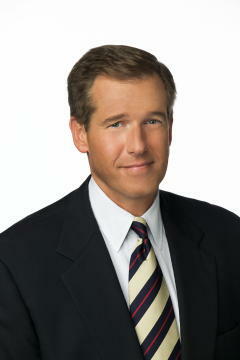 Just then the Olympic Commentator- maybe Brian Williams? He was, like, caught off guard by the camera because he was still talking to someone off screen and- get this- he said "Yes, that's what it is. A faucet." I swear!!! My mom and I were floored. I wouldn't even believe the memory except my mom witnessed it too!! For days afterward we were like "Did you hear that too?" And we both kept saying to each other "Yes! I heard it too. It really happened". I came back to add three more stories I remembered. They're like the first except I was on the receiving end of the blessing. The first is when Timmy first went to jail. It was one of the very first few days and I was walking downtown with my baby in the carriage. My life was crumbling all around me. I had no idea how I'd face the future. And then a bum (sorry. Is there a PC term?) yelled to me from across the street, "God loves you!". Tears came to my eyes. They were the words I needed to hear most at that lowly hour of my life. The second memory was several years into the jail sentence. I'm a struggling single mom. I've got no money. No time, because I work and I'm trying to raise two children. It's my birthday, but there's nobody to wish me a happy birthday. I'm tired and hungry. So I splurge on a pizza- something I never buy and can't really afford anyway. It's a little mom-and-pop pizza shop. The owner barely speaks English. Greek or Portuguese or something. When the pizza is done he hands it to me and says it's free. I hadn't said a word the whole time. He had no idea my circumstances. All I know was that he blessed me more than he'll ever know. The third memory was when we were homeless and -you know how the day before payday there's nothing left? nothing. So it was that day. As usual, we'd pull it off. But I had nothing to pack for my husband for lunch the next day at work. If only I had a few dollars so he could buy a decent lunch! We had a box of donated food put together for homeless people. Ours was put together by a sweet little girl and her Grandpa. I scraped out the last bit of food from the box and went to throw it out. And there, on the bottom, was this envelope and in it was $10!!! Just enough for lunch for my husband the next day. I was soooo blessed. I'm so grateful to that little girl. She probably gave us money from her own piggy bank. It's beautiful and inspiring when humanity pulls together for each other. I know those three people who blessed me had no idea how much it meant to me. No idea. Let it be an inspiration, that the littlest things can mean so much.